Destination Wedding, and Creative Portrait Photographer Serving the Dallas, Ft. Worth, & San Diego Area; Travel Available Worldwide. I had such a fun time photographing this adorable couple in Ft. Worth in their adorable vintage styled home. Ben and Elisabeth's session was nothing but romance and good humor. The two met their freshman year of college at TCU during band camp, which Elisabeth's jokes is serious "nerd alert". Apparently this was absolutely not love at first sight. Ben didn't notice Elisabeth until some of the other drum line members told him he should, and Elisabeth didn't give a second glance to him until he got his ears pierced one late night in the dorm in college. Their love took time and work and even time apart but it's that one love you always come back to. 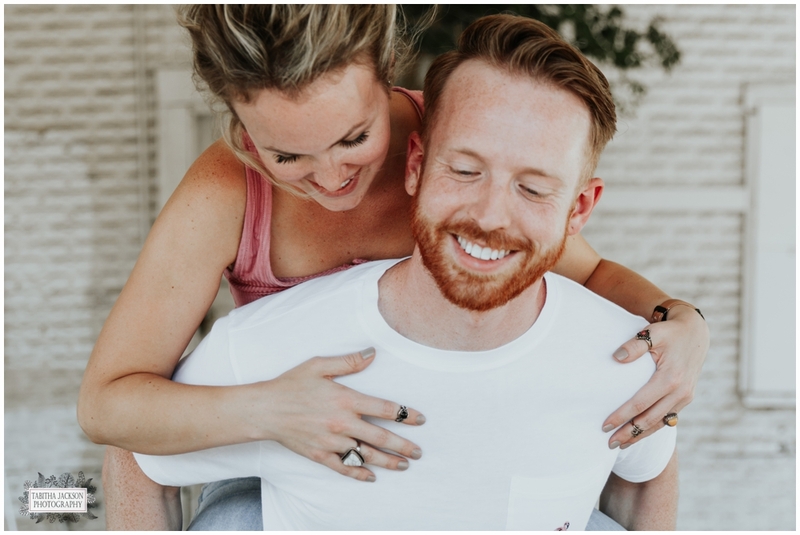 Ben and Elisabeth have the cutest daughter with the brightest red hair and an adorably large smile, and that is when they had their bundle of joy they experienced love at first sight. Because they lived so far apart they always met at a mall before their dates. At the end of our dates we would sit in that lot for hours talking and trying not to say goodbye. Now they look back and say we fell in love in a parking lot. Ben's favorite dance is the one from "It's a Wonderful Life" (you know, the ridiculous one they do in the water) and he does it all the time. Before they had Eleanor (their adorable baby) and when they had time for themselves, they loved to go in the candle section and smell every. Single. Candle. Now Elisabeth's favorite thing to do is watch Ben dance super silly and throw himself on the floor while their daughter doubles over with laughter because it's this game their child made up, and he's both their number one player. For them this fall will mark ten years of this crazy, wonderful thing they have together. 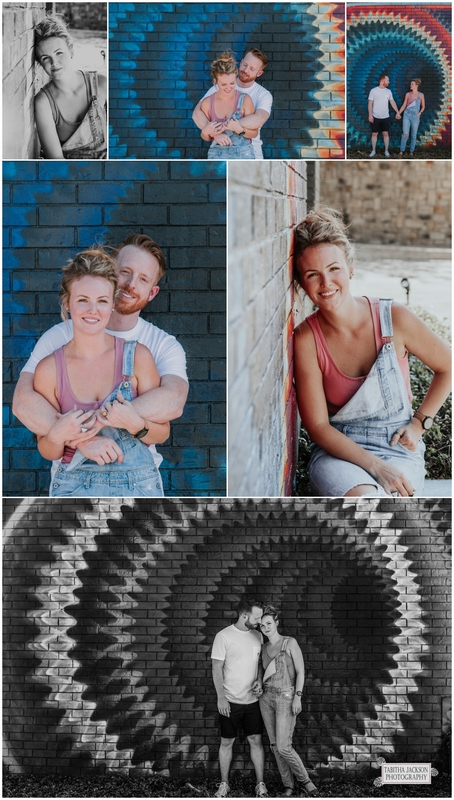 Hope you enjoy this wonderful collection of photographs, starting from their first home they bought together, to some of the coolest spots in Ft. Worth. Serving the Dallas, Ft. Worth, & San Diego Area; Travel Available Worldwide.